Support at all times. 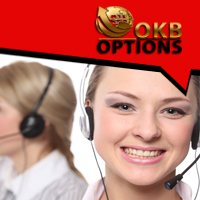 Trading would be easier and simpler than you expected when you’re provided with ample and excellent support services. And that’s exactly why the Ikko Trader support team is always on hand should you need further assistance on your trades. We are available twenty four hours a day, seven days a week and we are always ready to serve you, our valued client. Whatever your concern , be it on your trade, technical issues or simply general queries about Ikko Trader, support team is standing by to respond to your concerns as quickly as possible. You can get in touch with us and the entire network support team thru e-mail, live chat and telephone. Your queries, comments and concerns are highly appreciated. No question is too small. And because we value your satisfaction, rest assured that you will get nothing but comprehensive support from our friendly and professional customer representatives. Ikko Trader trading gives you a suave trading experience, by spending more time on profiting and less time on worries. We also have satellite offices in the United States, Canada, Belgium, France, Spain, Switzerland, United Kingdom, Germany, Russia, Australia and Bahrain. Ikko Trader support offers top-of-the-line support services to ensure that your trading time with us becomes more fun and exciting than ever. If you’ve encountered problems on opening an account, claiming your Ikko Trader bonus, downtime errors or other trade-related concerns, do not hesitate to contact our team and we will be more than happy to serve you. Send us a message, give us a call or chat with us, Ikko Trader strives to provide you with all the support and essential information for you to become a well-rounded and professional trader.